The following article was written by Dr. Antonio N. Zavaleta to be published as a preface to the proceedings of the Rio Grande Valley Public Health Community Conference that took place on June 8th, 2000 sponsored by the UTHSC-School of Public Health. and public clinics of Texas. Importantly, and among the first concepts that health care providers must understand and take into consideration when treating Hispanics is that terms like “Hispanic” and “Latino” are “catch-terms” that tend to lump people together without regard to the very real sub-cultural variation that exists within the Hispanic population in Texas. In reality, the Hispanic population in Texas and throughout the U.S. is incredibly diverse drawing origin from numerous regions of Mexico, Central, and South America as well as from a host of Caribbean countries. The health care provider must always take into consideration the origin of the person they are treating. Simply stated, a person’s sub-cultural origin, whether Tamaulipas, in the northern border of Mexico, or Chiapas on Mexico’s southern border with Guatemala, will determine for example, linguistic and dialectic variation as well as differences in beliefs, lifestyle, customs, and hence will define a person’s primary choice for health care. Within the Texas population of Mexican descent, Mexican-Americans, dramatic differences exist between urban and rural life and realities; between socio-economic levels as a determiner of the availability of healthcare services; between educational levels and one’s knowledge base; between generational status and intra-familial differences; between levels of acculturation and attitudes toward health care delivery modalities and the various regions of the state (Valley vs. Metroplex), just to name a few. 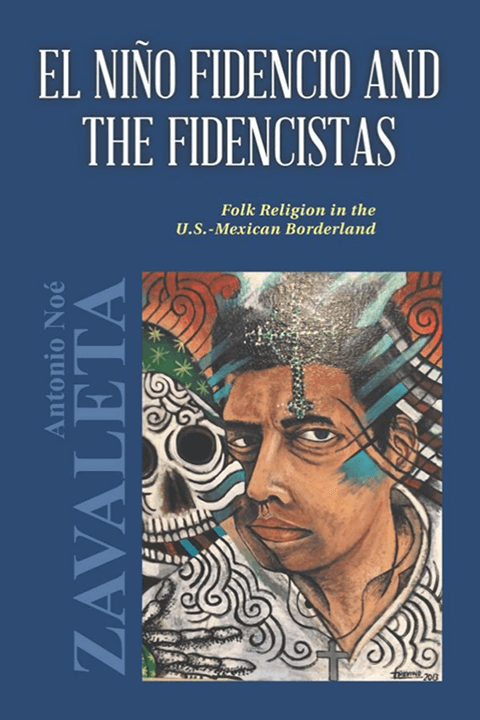 Mexican American sub-cultural variation outside the State of Texas is even more dramatic. It is also critically important for the healthcare provider to understand that all Hispanic populations and all Spanish- Surnamed people are not alike. Avoid the age-old mistake of stereotyping when dealing with Hispanics. While cultural factors are real, it is important not to make the mistake of confusing economic with cultural determinism. That is to say, that it is simply too easy to pass something off as caused or determined by a person’s cultural beliefs when in fact it is caused or determined rather by economic circumstances. It is important to note that in general, the Hispanic population in Texas is poor. While there are notable exceptions, as is evidenced by the significantly emergent Hispanic middle class, economic marginalism remains the major determining and characterizing factor of Hispanics in Texas. As such, the major barrier to health care in Texas for Hispanics is not culture but rather it is a lack of adequate income or financial resource. I believe that it is critical that as health care professionals we resist falling into the trap of old stereotypes and in this new century should construct new and effective health care models for treating the Hispanic populations of Texas. There is no mystery that new models must incorporate modern medicine and culturally appropriate alternatives into a single functioning system. Hispanics in Texas are located in every county and especially in the major metropolitan areas of the state, thus it is erroneous to characterize all Texas Hispanics as living a rural agricultural lifestyle in Texas-Mexico border counties or in the Valley. Most Hispanics in Texas today live in the major metropolitan centers of Dallas-Fort Worth, Houston, San Antonio, and Austin. In addition, the 2000 Census of Population will recognize that the concentration of Spanish-Surnamed Texans living, in what is commonly referred to as the Lower Rio Grande Valley, is experiencing explosive growth. Because of its proximity to Mexico and because such a large percentage of this population is foreign-born or first-generation- U.S.- born, the Valley Hispanic population serves as a living laboratory of how culture affects health beliefs and hence health care delivery systems and Hispanic health status. Throughout the literature on Hispanics spanning more than thirty years, the resilience and cohesiveness of the “Hispanic Family” have always been singled out as a primary determinant for what is “best” in Hispanic culture. The Hispanic family remains a cultural super-glue in spite of the powerful argument that there is no such thing as the stereotypic Hispanic family remaining as a cultural entity. There are, however, very real characteristics which embody the values often found in any prototypic “traditional” family, and in the best sense, Hispanic families often demonstrate these characteristics. Clearly, the family is the focal point for the inculcation of one’s beliefs, values, norms, and customs and as such, the social context of the family determines one’s cultural reality (4). Therefore, whether there is, or is not, such a thing as a “Hispanic family” as a cultural construct surviving in the early 21st century, the fact still remains that, like other traditional families found in industrializing settings, Hispanic families impart cultural beliefs and serve as a critical safety net for its members. The existence and integrity of the culturally defined family-based safety net will directly impact, both positively and negatively, upon a person’s health status. For example, perceived Hispanic fear or mistrust of “official” bio-medical health care delivery systems, such as hospitals and social service agencies, is often an unfounded urban myth held in the family or by the family matriarch who is at least one generation out of touch. Simply stated, it is important in treating Hispanic families to involve the multi-generational extended family in the healthcare delivery process. In this sense, it really does take “a village.” The social network of family and family involvement with the individual is critical to the emotional and physical well being of the individual, the family and the community at large. For example, family members often accompany one another to a provider’s office, especially when treatment is invasive or out of the ordinary. This fact should be understood and used to maximize patient compliance instead of being seen as an unnecessary nuisance in the provider office. The socialization and enculturation of children, adolescents and adults alike in the Hispanic family today is something that takes place within the larger framework of the extended family, which includes ritual kin networks such as compadres and comadres, concepts not addressed here. Exhaustive research and experience in practice in recent decades have shown conclusively that there are very real differences in the cultural interpretation of illness and disease. The work of Finkler (5), in her extensive anthropological work in Mexico, has demonstrated the clear impact of culture on illness and wellness in both urban and rural Mexico. We can be confident that sickness is much more than a simple fact of biology or the invasion of the body by an antigen. The way in which a person reacts to the symptoms of illness are culturally derived and culturally manifested. That is, the illness scenario is played out by each family member via a pre-determined and culturally appropriate script. After age, gender ranks second as the largest differential in the rate of illness (6). During their lifetime women experience more illness than men and women’s wellness and illness experience is accumulated and passed on from generation to generation. The conclusion for us is simple when treating the Hispanic population; gender must be foremost on the minds of the health care delivery team. What does the Grandmother think? What does the mother think? Verbrugge concluded that “women’s lives are filled with more health problems, higher incidence of acute conditions, higher prevalence of most nonfatal chronic ones, more frequent botherations by health problems,” than men’s. From her work with Mexican women, Finkler accurately concludes that psychosocial factors affect the perceptions of symptoms, the evaluation of their cause and severity, choice and continuation of therapeutic actions, and short- and long-term disability (7). Psychosocial factors affect all people of every culture. If we know that, then why do we ignore the fastest growing population in Texas, the Hispanic? The point here is that anyone who has treated or been involved in the treatment of Hispanic populations will immediately recognize the importance of this conclusion. Avoiding the obvious stereotype, it is clear that in the majority of Hispanic families, if not all families, the female head of household and especially the extended family matriarch, grand or great-grandmother is responsible for the interpretation of family issues concerning wellness and illness. This critical observation must be brought into the healthcare delivery picture. to miraculous cures delivered are central features of Hispanic belief systems. In Hispanic cultures today, traditional religion and folk-religion co-exist as a single interacting system involved in the health care delivery system.The majority of Hispanics are spread out across Texas, living in large metropolitan cities, and in small towns, many are recent arrivals. Their extended kinship groups are dynamic and influence their perceptions of illness and health care choices. A complete examination of how folk-religions function can be found in Frank Graziano’s recent publication, The Millennial New World (9). Hispanic populations have an active and longtime tradition of alternative health care delivery systems. These systems and practices are highly complex, diverse and are generally lumped together into what anthropologists commonly call the cultural system of “Curanderismo”(the folk usually call it curanderia) (10). The body of Curanderos/ an in Texas is comprised of both men and women who are essentially folk-healers (11). That is, locally based persons of one’s own culture who have a culturally received gift and an equally received imperative to assist the population in the treatment of illness, physical, emotional, and spiritual. Many decades of research has shown that first-time visits to a folk-healer or curandero/ an almost always are prompted by a serious or catastrophic physical, emotional, personal, or economic problem in the visitor’s life. Contrary to popular belief, people who seek physical care from a spiritual folk-healer do not do so as a first choice. Almost without exception, physicians have been consulted first. If medical therapy has not been successful, alternative therapies, especially miraculous treatment, is sought. Every curandero/a has a regular group of persons who give impassioned and convincing testimony concerning impossible and miraculous cures that they have received through the intercession of the healer. These claims are often documented. Chronic ailments commonly go untreated in Mexican-American communities. Therefore, diabetes, hypertension, arthritis, and similar chronic ailments are common in the folk-healers client-patient load and it is essential that the folk-healers be networked with medical professionals-not rejected and alienated, or as has been seen in some notable cases, prosecuted. There is no systematic process for becoming a Hispanic folk-healer or singular body of knowledge or cultural certification of a person as trained in folk-healing. Therefore, not all folk-healers in the Hispanic population in Texas are reputable. Some cause great harm while others are revered as living folk-saints. 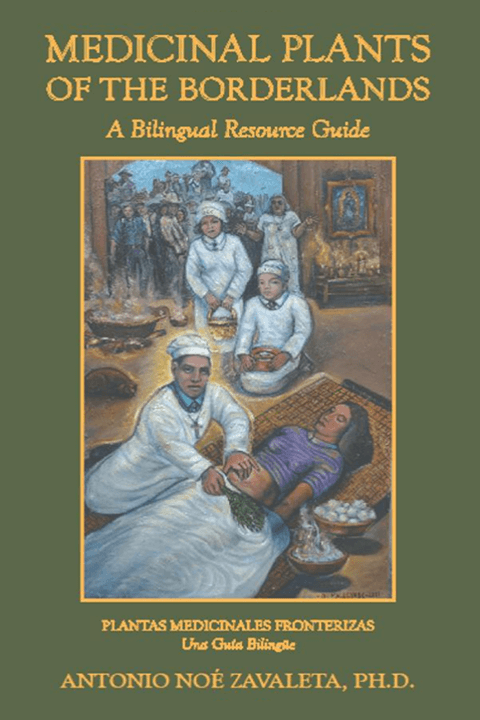 Physical ailments are treated by Mexican-American folk-healers in a variety of ways. Twenty years ago Trotter and Chavira, demonstrated that they either work on the physical (material), or the mental, or the spiritual level (12). Material level treatment at curandero healing centers is consistent with the techniques and remedies found in non-spiritual healing traditions described by Kiev in 1969 (13). While material and mental levels of treatment are common, spiritual treatment, directly from the “spirit” of a folk-saint like Don Pedrito Jaramillo or El Niño Fidencio, is more highly valued and increasingly common. Spirit channeling is popular throughout “new age” alternative healing practices, however, it requires a much more accomplished folk-healer. Folk-healers who are “spirit” mediums are said to work spiritually when in a trance state. Individual spiritist healing sessions usually follow a similar pattern. The patient is greeted by the spirit and returns the salutation. The initial greeting is followed by a personal discussion with the spirit about the person’s problem. In physical ailments, the spirit working through the healer immediately approaches the problem using a combination of techniques. 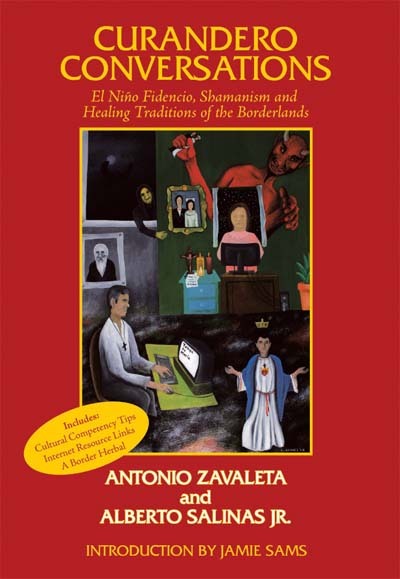 These include massage, limpias or ritual sweeping, and in serious cases, “spiritual surgery.” A recent publication, La Medicina tradicional de el norte de Mexico, 1999, is a complete examination of the diversity of alternative folk-healing traditions operating on Mexico’s northern frontier (14). Often the folk-healer prescribes a remedy that may be a mixture of herbal and religious items and requests that the patient follows some prescribed process or ritual at home, followed by a return visit to the healer. The average number of visits to a curandero/a for physical ailments is equally matched or surpassed by visits for other personal reasons. While many of these consultations are of a serious nature involving major family problems, many are simply routine visits by the faithful for emotional reinforcement. Research has shown consistently that the Mexican-American community is severely under-served in mental health care (15). In the United States, mental and emotional health treatment has become commonplace, this is not the case in Texas or within the Hispanic population. Commonly held ethnic stereotypes in the allied health community continue to promote myths suggesting Hispanics, while poor, are content with their choice of cultural mental and emotional health care. A common belief in the health community is that Hispanics, lead well-adjusted, simple lives, free from the common emotional and mental health problems experienced by middle-class Americans. This stereotype supports the contention that Hispanics are not in need of mental health care and justifies why state appropriations have not been made to support the increasing Hispanic mental and emotional health problems. Consequently, the fastest growing population in the state has little or no access to even minimal emotional and mental health care. Because of these high growth rates and the fact that the Hispanic population is disproportionately poor relative to the general population, we can expect alternate healing systems like the Hispanic folk-healing to continue to thrive. In almost every other country in the world, including Mexico, lay practitioners, community health workers called, promotoras or asistentes de salud, with limited medical support, care for approximately 80 percent of the population’s physical and emotional needs (16). Curanderos/a generally dedicate their lives to serving the physical and mental health needs of their local population. Additionally, an important dimension of folk-healing and folk-religions is the emergence of social movements surrounding wellness and illness. Throughout Latin America, native belief systems have commingled with folk-Catholicism and folk-healing systems (17). The syncretic hybrids that have been produced are thriving alternatives to modern health care delivery systems, which operate side by side. That is religion and health care. The rejection by the bio-medical model of these large grassroots movements serves to further alienate huge segments of the Latin American population rather than to provide them with health care. Public health problems in Texas and along the Texas-Mexico border continue to be unique and present very real challenges to the health care delivery team. The establishment of a Regional Area Health Center including a School of Public Health (UTHSC-Houston School of Public Health Satellite Center) in the Lower Rio Grande Valley at the beginning of the 21st century provides an important opportunity to assess and address these border challenges within the context of science. The phenomenon of folk-healing or Curanderismo is not diminishing, not in Texas or any place in Latin America. The movement toward culturally informed health care delivery systems must, therefore, take into consideration the reality that cultural factors play a role in our attempts to produce a healthier Hispanic population in Texas. Additionally, increased knowledge and understanding of native alternative health care delivery systems will assist us in addressing the continued problem of lack of resources and help us to deal effectively with continued in migration from Latin America and especially Mexico. Today’s health care delivery system in Texas is faced with heretofore unknown challenges including HIV and STD’s, drug-resistant TB, and little known infectious diseases which may only be addressed as public health concerns and treated effectively by incorporating what we have learned about culture. Untreated chronic illnesses in Hispanic populations in Texas continue to rank high as an unmet health need, which affects the entire population and the economic viability of the state. Lack of support and treatment networks for physicians continues to be a problem in Texas, especially along the border, and lack of physician understanding must be addressed if we are to be successful. Significant issues such as the continued health manpower shortage issue, provider-patient ratio and interest in the training and coordination of Community Health Aides now called Promatoras de Salud is critical. The development of networking and community-based coalitions along with cooperation with Mexico through cross-border programs along with more health education programs will only be effective if we take culture into account. A recent “Future of South Texas” regional conference (18) held on South Padre Island in July, 2000, identified the importance of understanding the language and culture of the patient; the importance of the inclusion of the family and community in health care delivery systems; how critical it is to listen to what the people are saying about their health care needs; the importance for health care providers to avoid making stereotypic value judgments about peoples beliefs; the desperate need for the establishment of effective mental health care delivery systems in South Texas; and maybe, most importantly, the critical need for the increased development of diversified and culturally appropriate health education programs for the Hispanic populations of South Texas. of Public Accounts, Austin, Texas. (3) Symposium on Immigrant Health: Special Issue, 1996, Texas Medicine, Texas Medical Association, Austin. (4) Trotter and Chavira, 1981, Curanderismo, University of Georgia Press, Atlanta. Historical Handbook, ed. Rima D. Apple, Garland, New York. 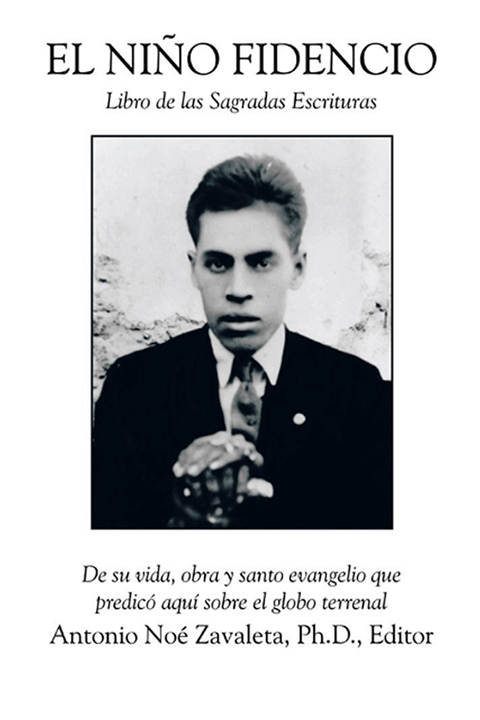 (8) Crumrine and Morinis, 1991, Pilgrimage in Latin America, Greenwood Press, New York. (9) Graziano, Frank, 1999, The Millenial New World, Oxford University Press, New York. Petrowsky, eds. Praeger Publishers, Greenwood Publishing Group, Inc. Westport, CT.
(11) Avila, Elena, 1999, Woman Who Glows in the Dark, Penguin/Putnam, New York. (12) Trotter and Chavira, 1981, Curanderismo, The University of Georgia Press, Atlanta. (13) Kiev, Ari, 1969, Curanderismo, Free Press, New York. Nacional de Anthropologia e Historia, Mexico, D.F. Southerland Seminar in Mental Health, The Hogg Foundation for Mental Health, The University of Texas, Austin. WHO Scientific Publication No. 359, Washington, D.C., Pan American Health Organization. Coordinators, E. Gerlach and R. Manzano.